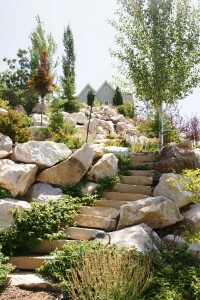 Beautify and enhance your property with our professional landscape design and installation. Imagine coming home after work and seeing your house surrounded by your favorite trees and flowers. Strategically placed flowerbeds may be blooming, while birds play in a bubbling fountain. 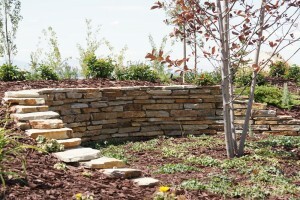 Or maybe there’s a tranquil water feature surrounding your patio with a rock garden and your favorite plants nearby. Your newly sculpted lot with soft sloping hills covered with lush green lawn will be interesting to see and fun to play on. You relish in the knowledge that your home is your lovely relief from the hectic world. Even the neighbors think so. You know you’ve worked hard to achieve a pleasing balance — custom hardscapes, unique architectural features, and healthy plants that enhance your home and improve your lifestyle. You enjoy the fact that your beautifully designed landscape gives your little spot of paradise more value, heightened visual appeal, and increased livability. You’ve worked for it — you deserve it. But how do you get this landscaped perfection? Most people can’t do it themselves, so they seek advice from someone who understands all the aspects of creating the perfect balance. And most people aren’t aware of the all options available to them in home landscaping. So . . . Your property is different from anyone else’s. Its walkways, plants, trees, water features, flower gardens, and a host of other features are totally unique. Choosing among all the landscaping options is not always easy. Rest assured — help is just a phone call away. And it doesn’t matter if your project is one flower bed or a comprehensive, integrated master plan. Working each project individually – no matter what the size or complexity – is what we at LaytonScape do best. That’s not all. Did you know that studies have shown that you can get up to 20% to 25% more value for your home if it has a professionally designed and installed landscape? 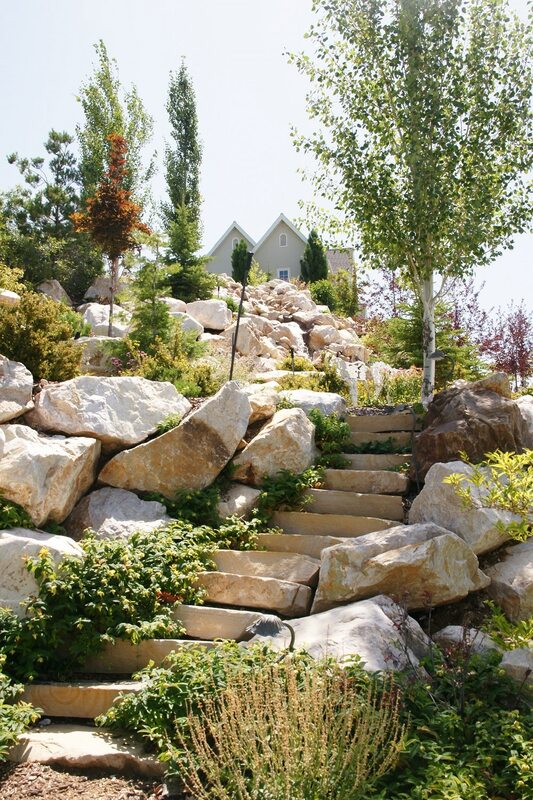 The landscapes we install grow in value as your trees and shrubs mature. With LaytonScape as your landscaping partner, you’ll get the finest construction materials and plants on all your projects. You can be sure your getting the highest quality now, and that the value of your home will appreciate in the future. We approach and complete our work with focus, integrity, and commitment. At LaytonScape, all projects are planned and completed with the philosophy that getting it right the first time is the only way we work. And what’s more, we are experts in landscape design, installation, and construction services. We invest in on–going training, hiring the right talent, and having the best equipment. You can be sure that we will create a living landscape that reflects your lifestyle and unique tastes while adding the distinction and value you deserve to your property. As an added bonus, we minimize serious disruption to your routine while we’re working. Not only do we design and install award winning landscapes and hardscapes, we also provide a full cleaning service and thorough daily clean up in the process. Ready to get started? Complete the contact us form or call us today. We’ll be happy to schedule a free consultation.